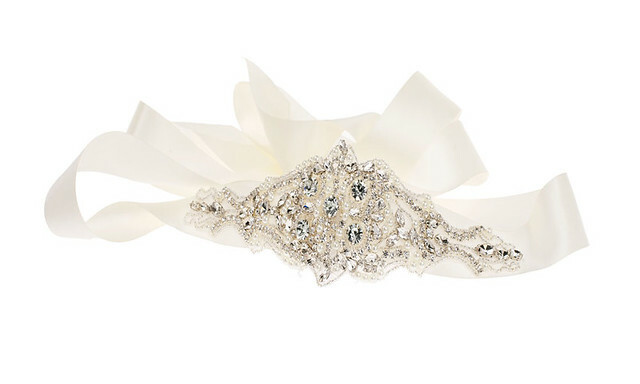 Beautiful Deluxe Kristy bridal sash - As seen on the front cover of Wedding magazine June / July 2013. Our most popular sash in our Ellie Sanderson Boutiques! This stunning item is covered in a mixture of rhinestones and pearl look stones gives amazing sparkle! Made onto 2 meters of satin ribbon. Handmade to order and gift boxed. This product was added to our catalog on July 23 Tuesday, 2013.